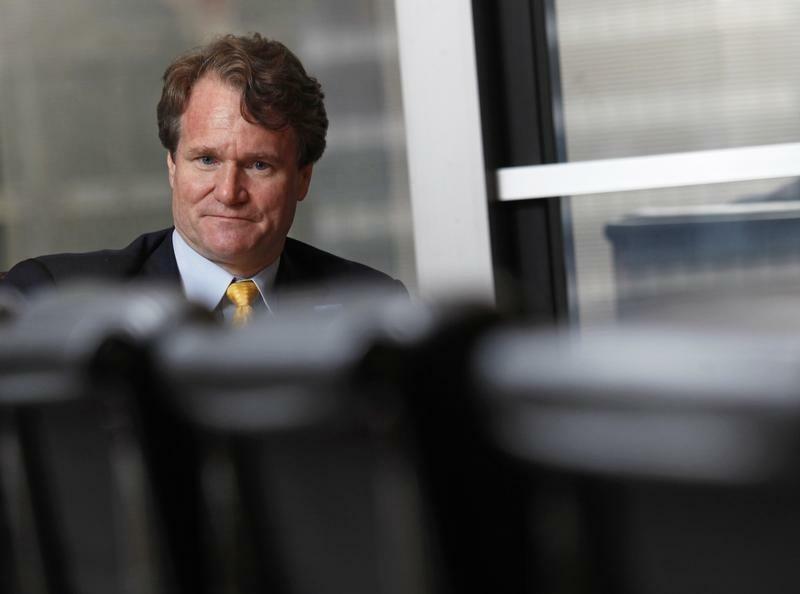 NEW YORK/WASHINGTON (Reuters) - Brian Moynihan may be taking a play out of Jamie Dimon’s book. Representatives of Bank of America Corp have asked U.S. Attorney General Eric Holder to meet with Moynihan, its chief executive officer, in an attempt to resolve differences over a possible multibillion-dollar settlement involving shoddy mortgage securities sold by the second-largest U.S. bank and its units, according to people familiar with the negotiations. Negotiators for Bank of America and the Justice Department have not met in more than a week and have no plans to do so after a flurry of meetings did not bring them close to a settlement amount, sources said. Bank of America spokesman Lawrence Grayson and Justice Department spokeswoman Dena Iverson declined to comment. Dimon, the CEO of JPMorgan Chase & Co, took a much-ballyhooed trip to Washington in September to meet with Holder in an effort to close a deal that would allow the largest U.S. bank by assets to put its mortgage securities problems behind it. In November, the two sides reached a $13 billion accord that Holder has said he planned to use as a template for other banks. The meeting between JPMorgan’s top executive and the nation’s top law enforcement official was viewed as unusual at the time. Most such settlements are negotiated between a company's lawyers and other Justice Department officials. Associate Attorney General Tony West, the No. 3 person at the agency, has been leading negotiations with Bank of America and other banks over similar investigations. The Department of Justice has not yet responded to Bank of America about the possibility of the meeting, sources said. The bank requested the meeting late last week, the people said. The settlement is intended to resolve several investigations into the bank's packaging of risky mortgages into securities. One probe involves Merrill Lynch, which Bank of America agreed to acquire at the height of the 2008 financial crisis. Mortgage securities helped fuel the housing boom in the mid-2000s and plummeted in value at the onset of the downturn, causing hundreds of billions of dollars in losses. Sources said the Justice Department's silence about a meeting between Moynihan and Holder suggested Bank of America's request was premature. Bank of America has discussed paying about $12 billion, including more than $5 billion to help struggling homeowners, to resolve a range of federal and state probes, primarily into whether the company and its units defrauded mortgage bond investors in the run-up to the financial crisis, people familiar with the matter said. The Justice Department suggested a $17 billion settlement in the latest round of negotiations and did not view Bank of America's offer as a serious one, one source said last week. One sticking point is what the mix of fines and relief will be, sources said. Bank of America wants more consumer relief, they said. Another issue is whether to include the bank's March settlement with the U.S. Federal Housing Finance Agency in the calculation, one person said. Bank of America paid the FHFA $6.3 billion to resolve claims similar to those made by the Justice Department. JPMorgan's $13 billion deal included a $4 billion payment to the FHFA. Another point of controversy for Bank of America is the extent to which it should be punished for Merrill's actions, sources said. JPMorgan had the same concerns about Bear Stearns, which it acquired in 2008. The Bank of America talks are being driven by a lawsuit that the U.S. Attorney's office in New Jersey is drafting against Merrill, sources said. The Justice Department had also threatened to sue JPMorgan days before Dimon's trip to Washington. The cases follow President Barack Obama's 2012 pledge to hold banks accountable for their role in the housing crisis after authorities faced criticism for little high-profile action. In recent months, banks and their lawyers have become increasingly alarmed at the upward trajectory of financial penalties from U.S. authorities in a range of cases. Executives and their allies have gotten involved in negotiations to try to reduce the penalties. Jean-Laurent Bonnafe, CEO of BNP Paribas SA, and the French bank's lawyers met in early May with New York regulators and requested leniency in settlement talks over alleged sanctions violations, a source said earlier this month. Negotiations are continuing.